If you enjoy the sweet and sticky flavor of honey garlic then you'll really enjoy this Grilled Chicken Wing recipe. There's a quick marinade to season the wings before going on the grill and then the thick and rich honey garlic basting and dipping sauce that get's slathered on while grilling. 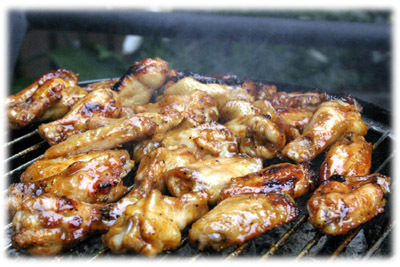 Why not try a mixed platter of different flavored BBQ Chicken Wings at your next party? 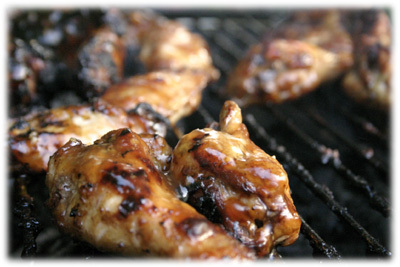 Combine this Honey Garlic chicken wing with these Grilled Buffalo Wings and these Teriyaki Chicken Wings. Three's a charm! For best results marinate 4 hours up to overnight. Combine all the marinade ingredients in a medium glass bowl and mix well. 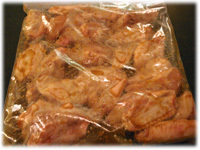 Place the chicken wings in a plastic resealable bag and pour in the marinade. Seal and refrigerate 4 hours up to overnight. 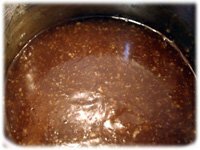 Combine the first 6 ingredients of the honey garlic basting/dipping sauce in a medium sauce pan. Bring to a gentle boil then reduce the heat and simmer 5 minutes. If you want thicker sauce then combine 1 tablespoon cornstarch with 1/4 cup hot water and stir until the cornstarch is dissolved. Pour the cornstarch/water mixture into the honey garlic sauce and stir well to combine. Continue simmering several minutes until the sauce begins to thicken. If you're adding more cornstarch to make the sauce even thicker you should wait several minutes between each addition as cornstarch doesn't react immediately. 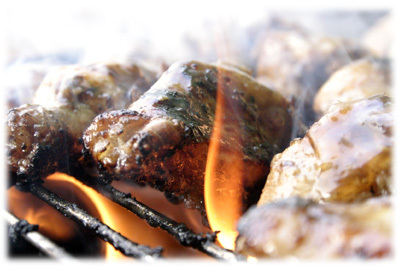 Clean and oil the BBQ grates and prepare for direct heat cooking. Preheat the grill to 400F - 450F. 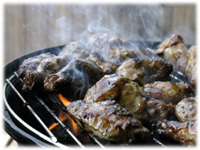 When the grill reaches cooking temperature place the wings on the grill. 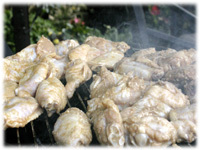 As they're cooking keep moving them around the grill and flip each wing to ensure all sides are getting evenly grilled. Pour some of the honey garlic dipping sauce into a separate bowl for basting (otherwise your basting brush may contaminate the dipping sauce). About 5 minutes before they're finished cooking begin basting each wing with the honey garlic dipping sauce. Continue basting each wing and turning them over - they should be getting nicely browned and very sticky. 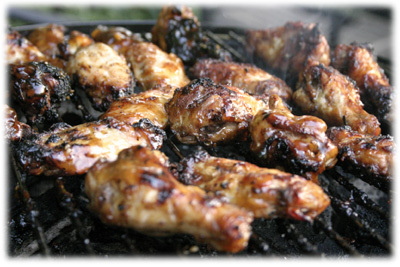 Remove the wings from the grill and serve immediately.